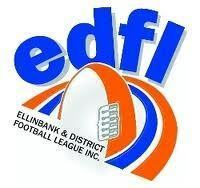 The EDFL is seeking expressions of interest to put together the league football record – the Follower in 2019. It involves collection of all the data within (predominantly club notes and club lists) each Monday and Tuesday; sending it to the printer by 5pm on Tuesday afternoon and proof reading the copy and sign-off before noon each Wednesday. Around 3 hours work in total per week spread over 3 days. The printing & delivery is the responsibility of Red Onion. If interested please contact EDFL Football Operations Manager Ken Moore 0457 099 113 by COB Friday 22 March.